At Wilner-Greene, every key contact person you interact with is empowered to make sales and service decisions that work toward supporting your goals. Our commitment to providing extraordinary quality in customer service and essential control over complex processes and logistical challenges keeps our customers coming back year after year. We do far more than calibrate, repair, and sell industrial hygiene instruments — we make your job easier by consolidating and simplifying some of your most time-consuming yet vitally necessary tasks. 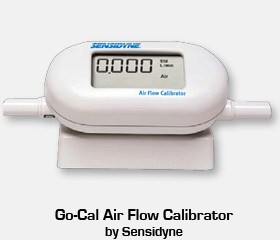 Our sales department will discuss your measurement needs and create a package of environmental testing equipment and software that will enable you to "one source" most of your industrial hygiene equipment purchases. Because we’re certified to calibrate and repair a broad variety of industrial measurement devices from nearly every manufacturer, you need to pack and ship only one lot of devices to one location. We’ll take care of all of the documentation, provide unmatched customer service throughout the process, and even send you regular reminders of required service and calibration for each of your industrial hygiene instruments. Call to find out why some of the leading Fortune 500 companies trust Wilner-Greene to perform NIST traceable calibrations on all types of devices. Same-day and expedited turnaround available upon request. Wilner-Greene's laboratory provides calibration to N.I.S.T. Traceable, I.S.O. 9001 Compliant, and A.N.S.I. Compliant standards. We work with industrial hygienists, safety managers, occupational health professionals, audiologists, and quality managers in companies of every size nationwide. Call and let us know how we can help you.